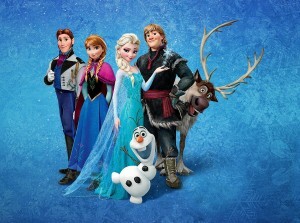 New Disney flick Frozen has now become the fifth highest-grossing movie of all time at the worldwide box office. The animation has grossed a massive $1.22 billion since its release in late 2013. The figure means it has overtaken previous No5 Iron Man 3, which has made $1.20 billion and is now in sixth. Frozen’s next target will now be Harry Potter and the Deathly Hallows: Part 2, which grossed $1.34 billion. A Broadway adaptation is now in development, and the film is also due to be made into a live ice-skating stage show. The film previously overtook Toy Story 3 to become the top-grossing animation of all time. The threequel, co-produced by Pixar, has made $1.06 billion around the globe.